Art and handcraft enriches your life. We love art and want to help you discover what you love. You will find an amazing selection of art from over 225 carefully selected American Artists because we do the work of finding them and showing them in one place for you. For 43 years (SINCE 1977! 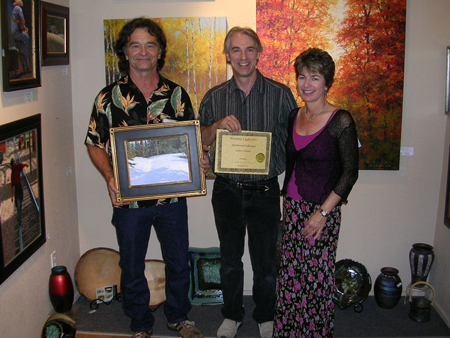 ), Earthwood Galleries have been a trusted art source for buyers like you. Enjoy Life - Enjoy Art - Just Enjoy! 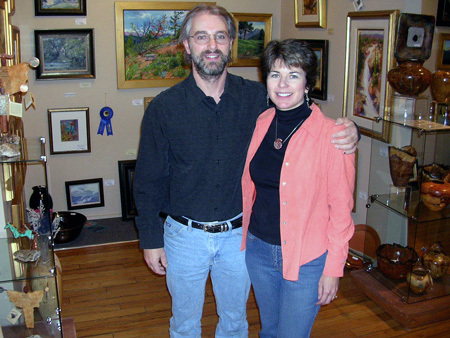 Ron and Ann Wilcocks, Owners, and All the Gallery Staff (Michael, Amber, Kim, Lars, Betty and all who have come before over the years).